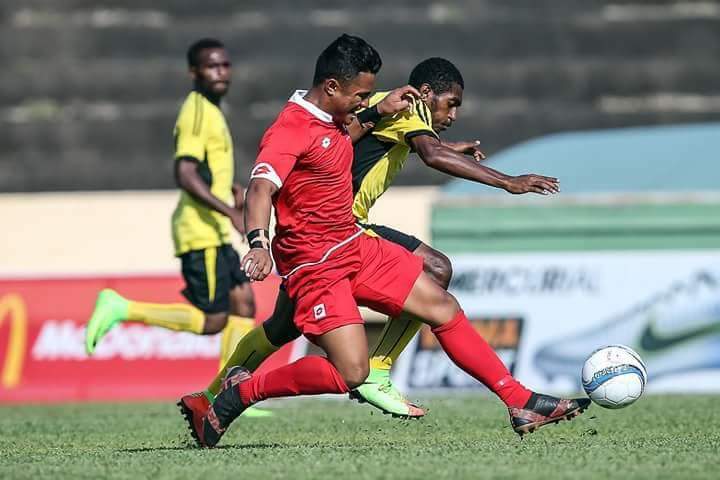 Papua New Guineas U19 men’s national team is well braced and ready for its next group A match in the OFC U19 Championships after a sweet demolition of Tonga in their opening match 4-0 in Tahiti over the weekend. Jonathan Allen opened PNG’s scoreboard when he netted the first goal in added time just before half time. Tonga tried to utilize their height advantage to deny the PNG boys from adding anymore goals to their score sheet but PNG kept picking up from where they left off in the first half again finding the nets through striker Barthy Kerobin after missed opportunities in the first half. Another double came from Abraham Allen in the latter stages of the match to give PNG a comfortable lead and enough points to be contenders for the top spot in their pool. PNG meets Tahiti on Wednesday this week.